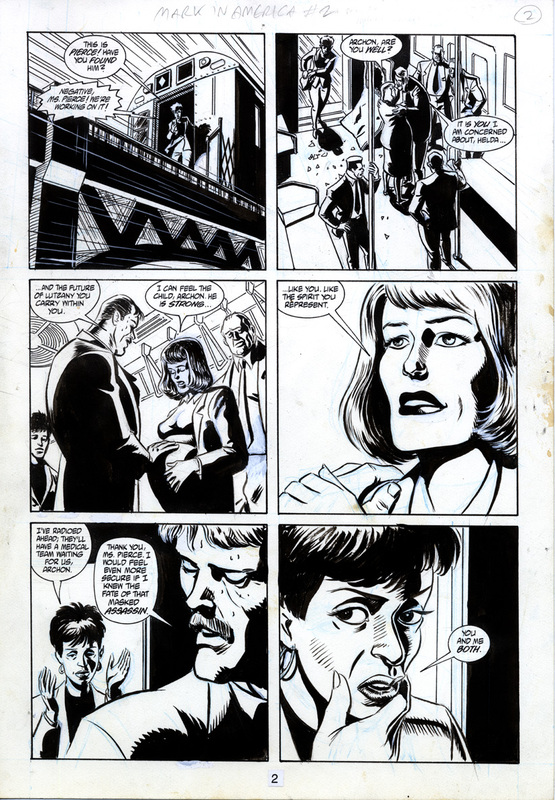 I did this artwork 22 years ago, when I was in my early 30’s. I’m enjoying looking at it again after all these years; it is quite good, in my opinion. 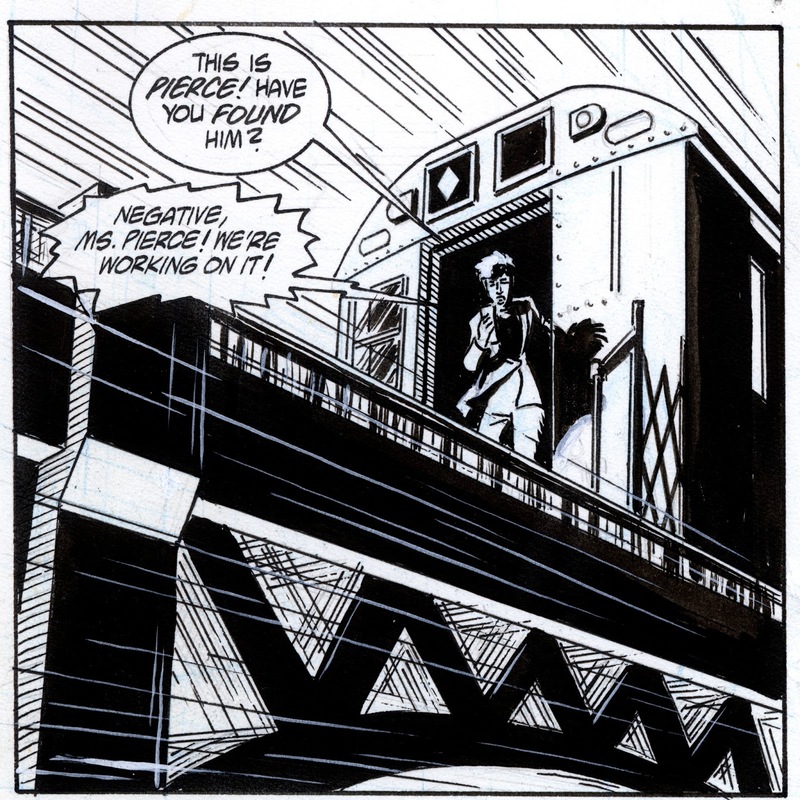 Except for panel #1, I find my ink treatment of the elevated train girders curious, a bit busy and tenuous. I see what I was trying to do: give the impression of the tracks moving toward and past camera at high speed, but I didn’t have the inking chops to pull it off. 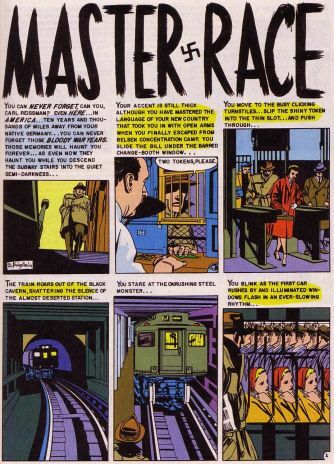 I also had in mind a pastiche of the famous Bernie Krigstein subway panels from “Master Race”. Oh well, at least I was ambitious. The rest of the page is much better. 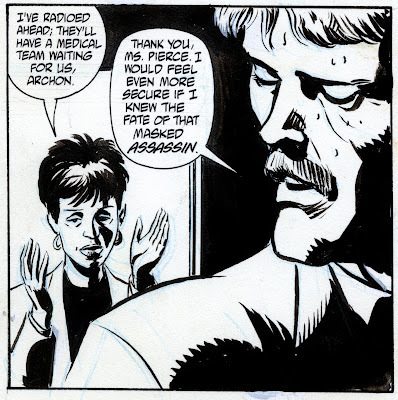 I really like the spotting of blacks in the other panel, especially on Helda, in panel 4 and Agent Pierce, in panel 6. 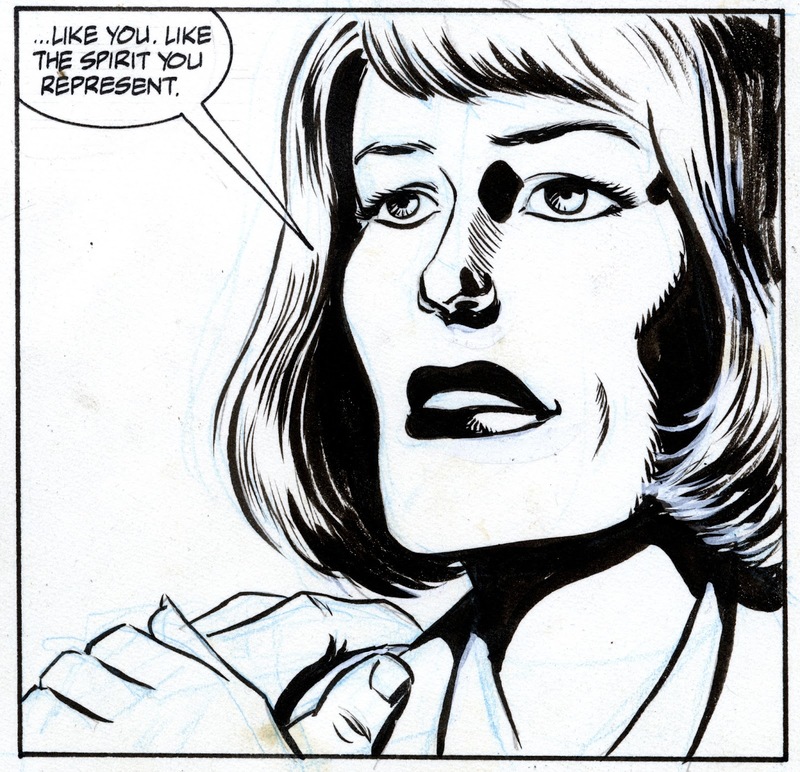 I was struggling with how to ink a beautiful woman’s face. For the most part, the inkers I was emulating shied away from it, and movie cinematography wasn’t much help, as, especially in “classic” Hollywood fare from the 30s and 40s, they tended to avoid putting shadows on the starlet’s faces. 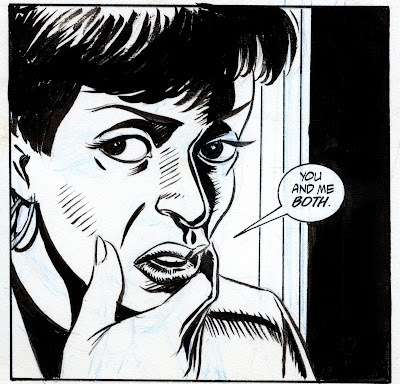 In panel 4 I kept it simple, only shading the side of Helda’s face and her nose. I got a bit braver in panel 6 and got away with it, I think, because Agent Pierce wasn’t, strictly speaking, supposed to be beautiful. 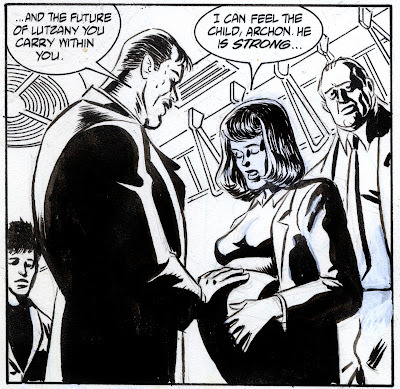 I also really like the drawing of The Archon in panels 3 and 5. It reminds me of Dale Eaglesham’s artwork on the Steve Rogers : Super Soldier mini-series.